We’re very proud to announce that Dolfab has been designated as one of Lauderdale Marine Center’s Certified Partners. This change comes under Lauderdale Marine Center’s new management, and is a testament to their dedication to the highest marine quality standards. Lauderdale Marine Center is the largest yacht repair facility in the United States. They employ a rigorous system of checks and balances that require all preferred vendors to maintain specific certifications in order to remain in good standing. We at Dolfab exceeded these requirements. We’re OSHA Certified and have our Hot Work Permits, in addition to many other industry certifications applicable to specific projects. 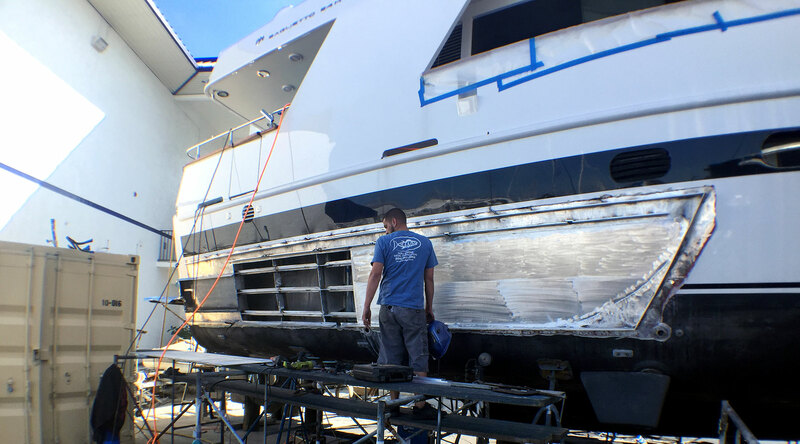 At Lauderdale Marine Center, customers can rest assured that they are dealing with true marine professionals who have the credentials and the experience to handle their toughest yacht repair projects. Dolfab offers yacht refit project management and execution, fuel tank repair, custom fuel tank fabrication, engine room brightwork, and a myriad of other services related to custom metal work on vessels from t-top fishing boats to luxury superyachts. Being a Certified Vendor at Lauderdale Marine Center further reinforces our commitment to customer satisfaction and to being a leader in the marine industry.